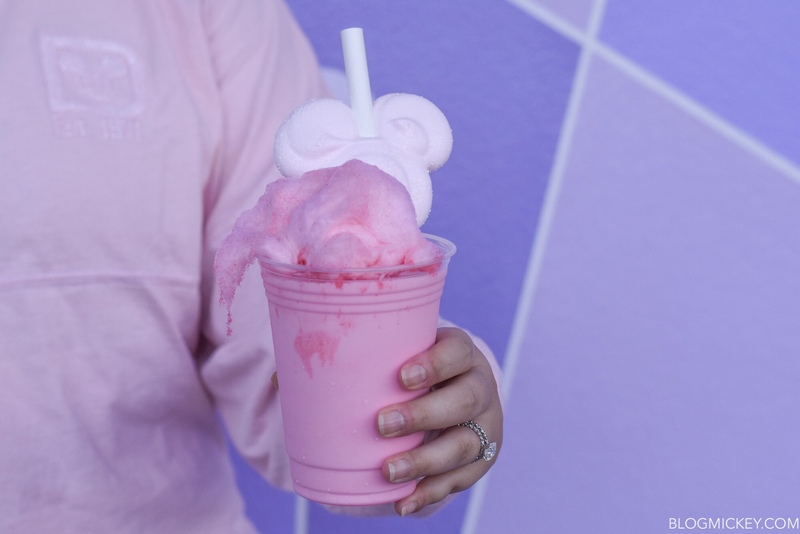 Disney isn’t backing down on the Millennial Pink trend. 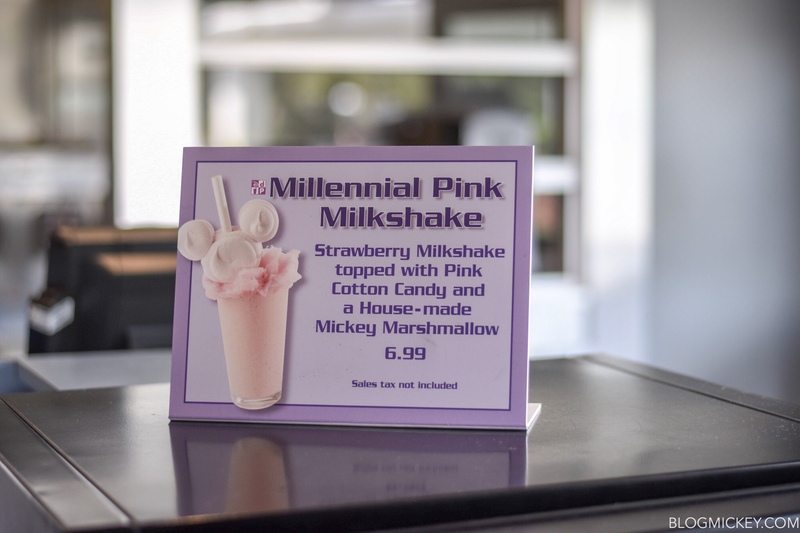 Now on offer at Auntie Gravity’s at Magic Kingdom is a Millennial Pink Milkshake. 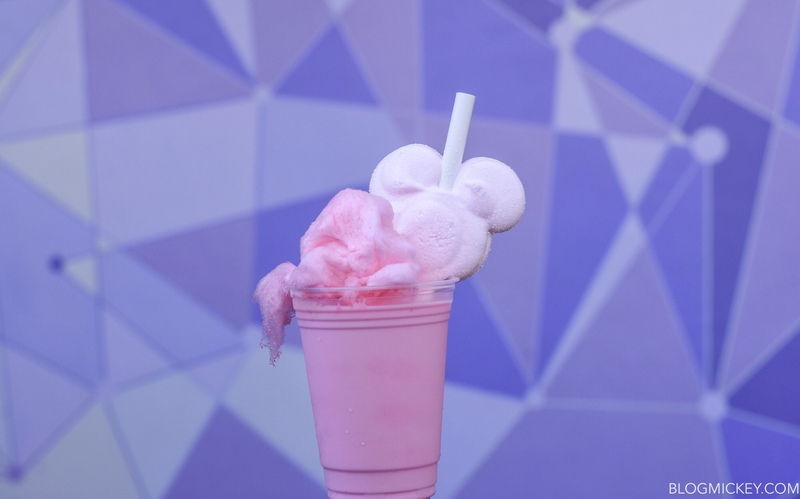 A strawberry shake is loaded up with pink cotton candy and a custom glittery marshmallow. 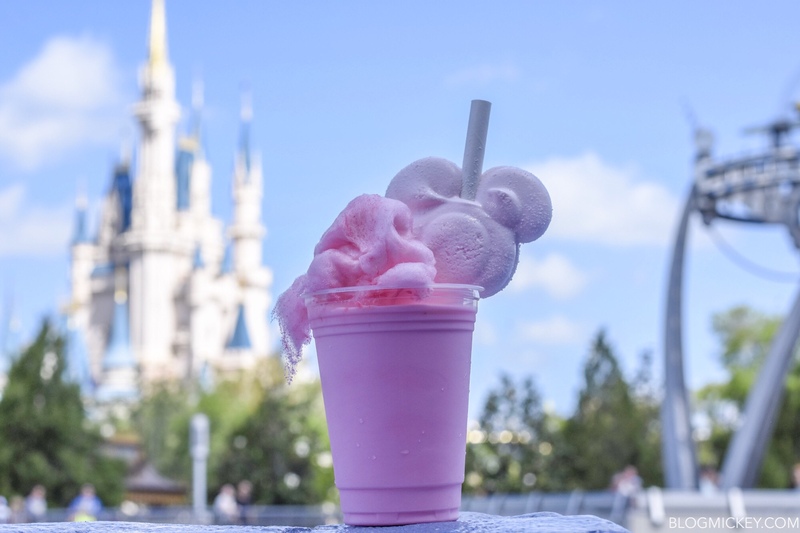 The creamy shake produces a nice flavor of strawberry and the oversized straw picks up chunks of cotton candy that will inevitably melt into the shake. 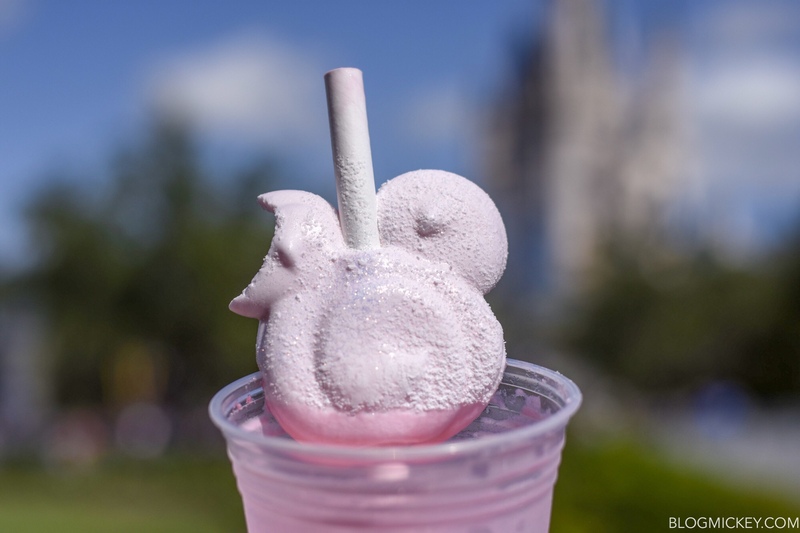 The house-made marshmallow comes with edible glitter that’s perfect photos in the Florida sun. The whole shake is a very good portion for $6.99 and we definitely recommend it on your next trip to Magic Kingdom.